THREE CRITICALLY-ACCLAIMED EPIC SCIENCE FICTION NOVELS TOGETHER FOR THE FIRST TIME from the Under Jurisdiction series by John W. Campbell award finalist Susan R. Matthews. THE SECOND OF TWO SERIES OMNIBUS VOLUMES following Fleet Inquisitor. This volume includes series entries Hour of Judgment, The Devil and Deep Space, and Warring States. 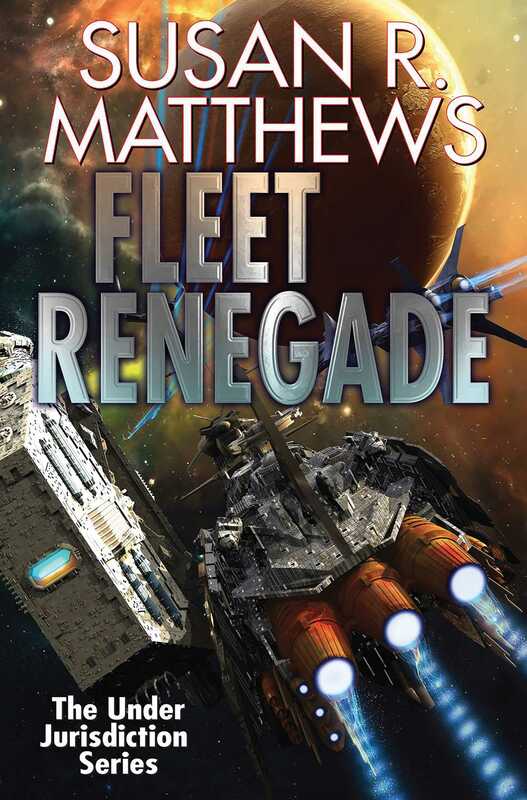 Fleet Renegade will be followed by the new Under Jurisdiction novel Blood Enemies. Burkhayden is a subject colony, leased by the Bench to a Dolgorukij familial corporation for economic exploitation. When a Nurail woman from the service house is brutally raped and beaten, Andrej Koscuisko –- Ship’s Inquisitor on board the Jurisdiction Fleet Ship Ragnarok –- is called upon to render services under contract. Before one fateful night is out Andrej Koscuisko will put himself under sentence of death by doing what he realizes at last he should have done from the beginning. Andrej Koscuisko, the Ragnarok’s Ship's Inquisitor, is going home on leave. His ship of assignment is participating in training exercises, and when an observer station unexpectedly explodes. Andrej will have to fight Fleet itself to bring the Ragnarok the only thing that can save the ship and crew from destruction –- a single piece of evidence with the potential to change the course of the history of Jurisdiction Space forever. Chilleau Judiciary’s senior administrative officer has been murdered in the very heart of Chambers. Bench Intelligence Specialist Jils Ivers has been unable to ferret out the perpetrator, and that means she’s the Bench’s prime candidate for execution –- so that justice may be seen to have been done, whether or not she is guilty.